ZMI is always interested in continuously improving the satisfaction of their customers and business partners. To ensure that this process includes and reflects your requirements and needs we kindly ask you to participate in our anonymous online survey. Please see below. We would like to thank you in advance for your valued feedback. 1. How satisfied are you in general with Zepf Medical Instruments? 2. 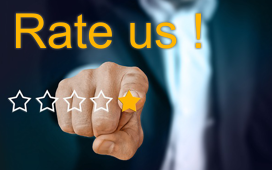 How would you rate the quality of our products? 3. How would you rate the cost effectiveness of our products? 4. How good was our reaction regarding questions, concerns and requests in relation to our products? 5. How high is the probability that you will buy our products again?